3: has strong nature against deaerated acids like sulfuric acid and hydrochloric acid. Monel wire is made from high strength nickel-copper alloy grades-Monel 400 and Monel K-500. These alloys are exceptionally resistant to atmospheric corrosion, saline solution and different acidic and alkaline media. Monel wire has main applications in marine industry, heat exchangers and chemical processing for dealing with organic acids, caustic and dry chlorine. Monel wire shows strong nature against deaerated acids like sulfuric acid and hydrochloric acid. Heanjia is a premier manufacturer, fabricator and supplier of ASTM B164 Monel wire for every size. For every specification, we deliver the best solution for you with production flexibility to meet your schedules. 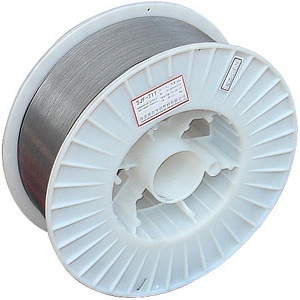 Monel 400 Wire is a durable material with high strength and exceptional corrosion resistance properties in the diverse application media such as marine water, saline solution and acidic and alkaline environments and is also fit for use in reducing media. It has good ductility and heat conductivity. These properties increase the demand of Monel 400 wire in the marine and chemical industries. Monel 400 wire is drawn to desired specifications for use in the high performance environments, aerospace, chemical, hydrocarbon processing systems, valves, pumps, shafts and heat exchanger units. Monel K500 Wire is an age-hardenable form of Monel 400 Wire with addition of aluminum and titanium that offer higher strength and hardness. Alloy K500 retains ductility and toughness at very low temperatures. It prevents corrosion and can serve from cryogenic levels to 450oF. Monel K-500 is used in oil and gas units, marine industry, chemical plants and medical industry.